Hey guys, Im zach_ Cheers from South Carolina! 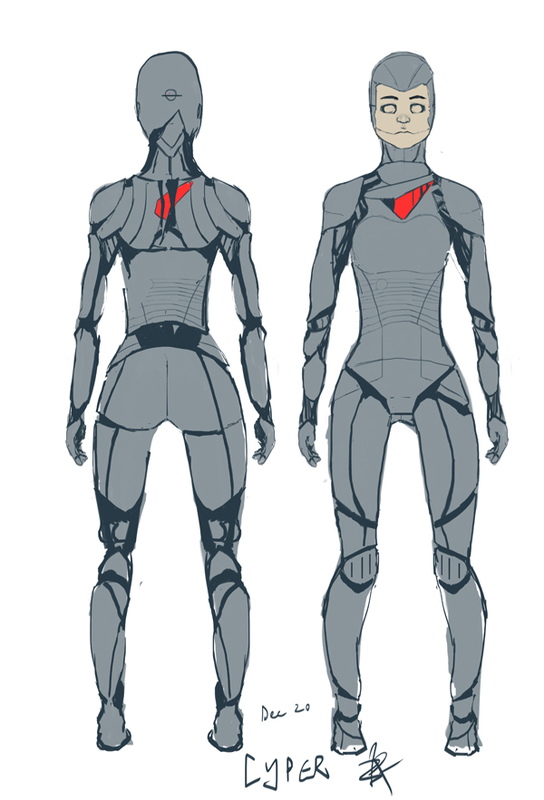 Here is my general design direction as of today, for my sci-fi character Cyper. 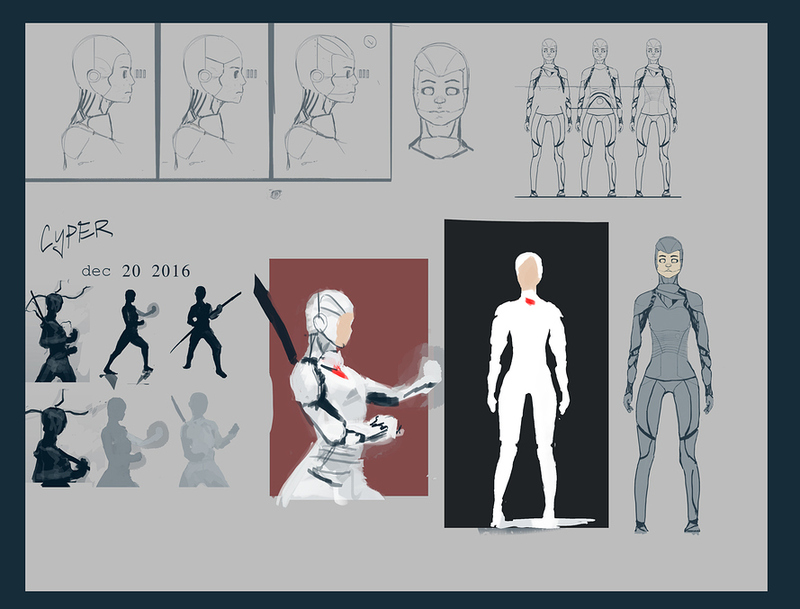 Added DEC 21: Cyper is a legendary humanoid who had awoken to raging war between the sci-fi and fantasy realms. Her and her hyena guardian, set out on a journey to find the once had trust between realms. 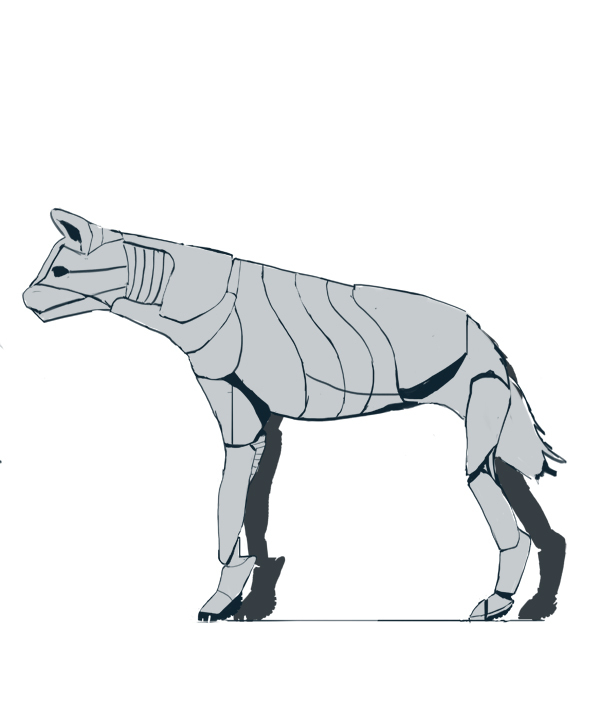 Hedway on her hyena guardian concept. make sure to take a second look at the head´s jaw it does looks scary. Here are some color variations of cyper. I'll probably be using #1. So, my forum account duped itself, and now I'm stuck with this '1' at the end of my username. I made a thread in the help center. I hope the mods can help me out. 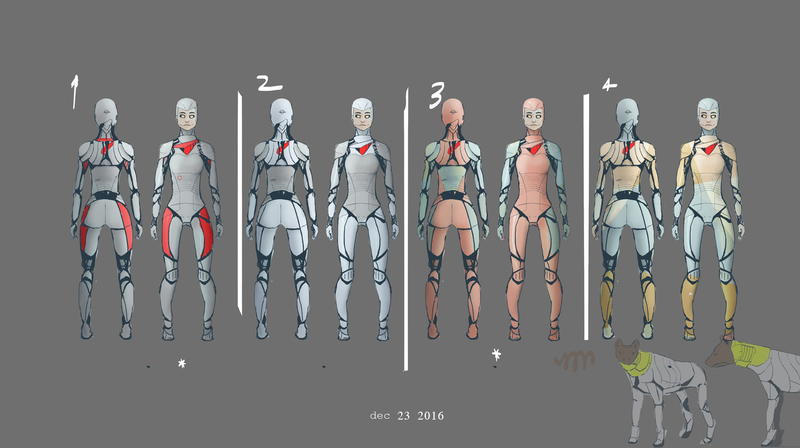 I've noticed that the normal red and white scheme might be too simple. The red is c l i c h e (against the white), and the white could only be powerful in certain compositions. 1 - Perfect glossy white can be powerful and bold at times, but in this case, It may just end up boring in the final. I kind of like the pointed shape, but it could end up working against me. 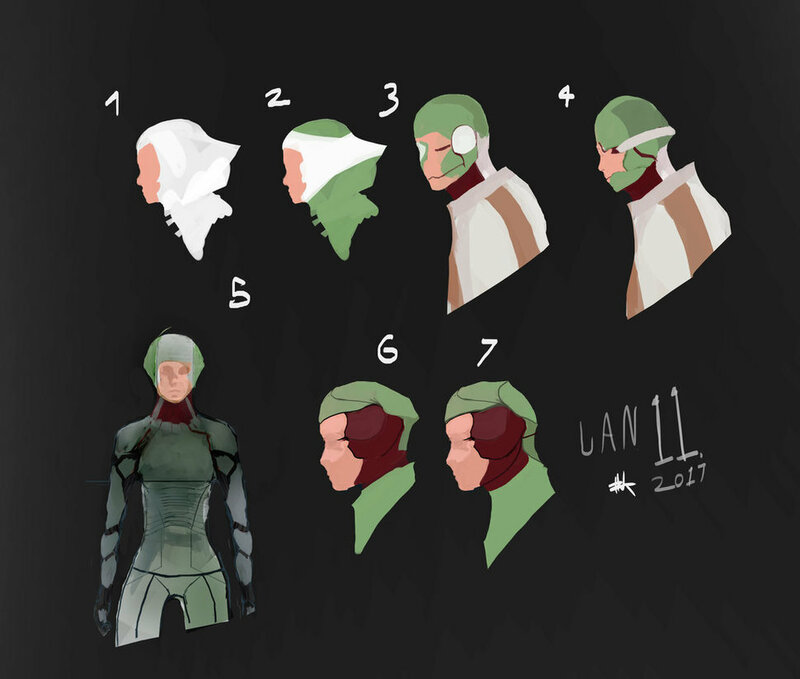 2- I like this green .. 3 - Textiles could work. They could bring warmth to her design. 4 -Leaning towards a patchy-ish design. This idea most likely wont stick. 5 I like this green stained look. 6&7 -More natural looking cut-lines. Maybe too loud.